Bulgaria is considering the option of not signing an agreement, which could in turn delay deliveries of gas from Russia to the EU. Bulgaria and Russia are disputing ownership of the involved asset, Energy and Economy Minister Petar Dimitrov said in an interview with Bulgarian state television Channel 1 Wednesday. The pipeline would be laid from Russia and split in Bulgaria into a northern route, going to Austria via Romania and Hungary, and a southern route, crossing the Balkan peninsula to Italy. The countries had planned to sign the deal during Russian President Vladimir Putin’s visit to Bulgaria on January 18. 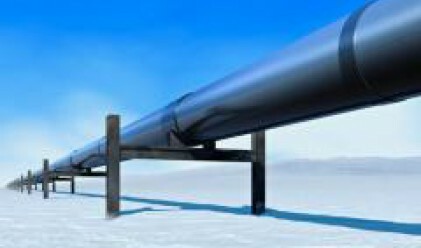 The so-called South Stream pipeline would be built by OAO Gazprom, the world’s biggest natural gas company, and Eni SpA of Italy. Russia’s Gazprom wants a southern underwater link to cut reliance on transit countries and boost its export capacity. Officials from Bulgaria and Russia are holding talks with representatives of Gazprom and Bulgarian state-run natural-gas distributor Bulgargaz AD. Dimitrov outlined two options, which were being negotiated with Gazprom. One option envisages Bulgaria having ownership of the pipelines passing through the country and participating in its profit. The other option would allow Russia to keep ownership of the pipelines and pay transit fees, Dimitrov said. Gazprom now ships natural gas through Bulgaria to Turkey, Greece, and Macedonia through pipelines built during the Soviet era, before 1989. Bulgaria and Russia renegotiated that agreement in 2006, ensuring annual gas supply of 17.8 billion cubic meters until 2030. That amount includes both transit shipments and Bulgaria’s own gas use, which was around 3.6 billion cubic meters of gas in 2007. The pipeline passing through Bulgarian territory remained the property of Bulgargaz AD, the nation’s dominant distributor.